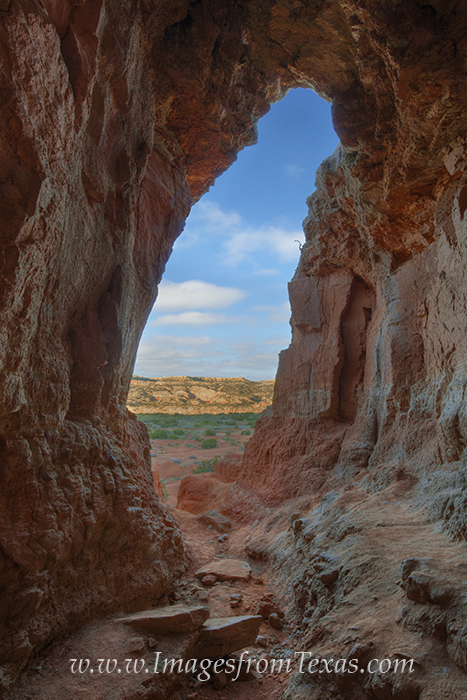 This little cave is called the Big Cave of Palo Duro Canyon State Park, and it is an easy walk from the road up to this point. From the trail, youâ€™d think the cave would be much bigger, but Iâ€™m actually shooting from the back of the cave in this image. Still, it is a short, fun side trip to visit this location. Photo © copyright by Rob Greebon.